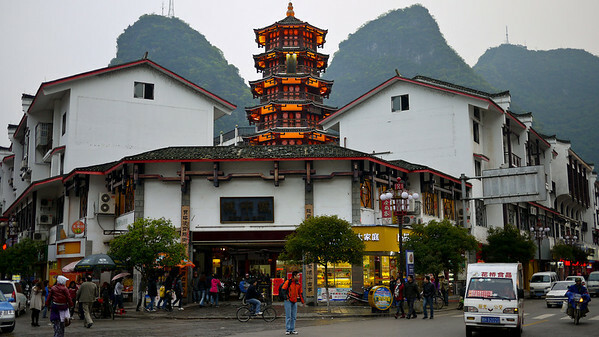 Sites and activities around Yangshuo. 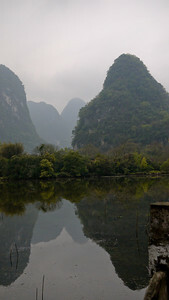 The karst rocks and jutting limestone from the Li River near Yangshuo, China. 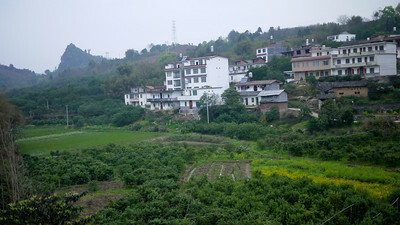 The green and lush grass in the outskirts of Yangshuo, China. 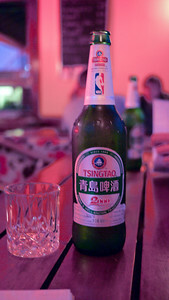 An ice cold Tsing Tao in Yangshuo, China. 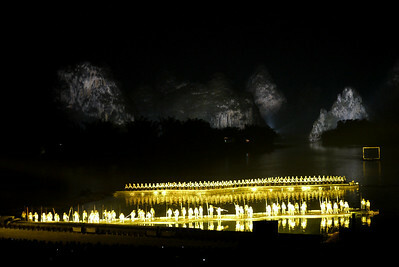 Impression light show in Yangshuo, China. 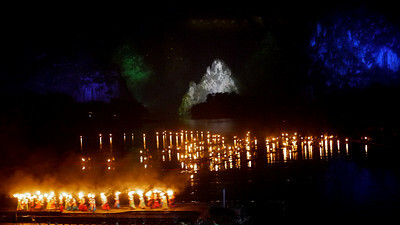 The bright lights and theatrics of the Impressions light show on the Li River in Yangshuo, China. 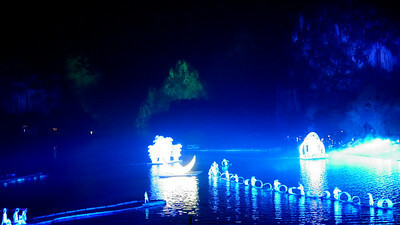 Pretty white light and theatricality at the light show in Yangshuo, China. 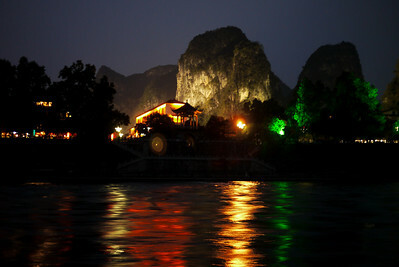 Karst rocks on the Li River are lit at night in Yangshuo, China. 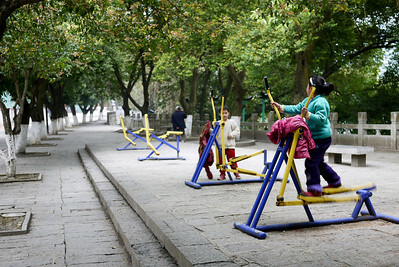 Children on park exercise equipment in Yangshuo, China. 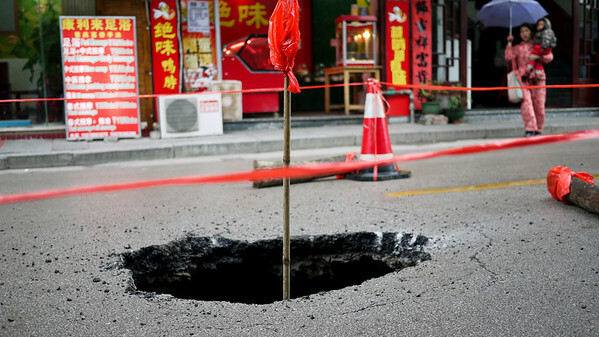 Poor road construction in a sudden sink hole in Yangshuo, China. 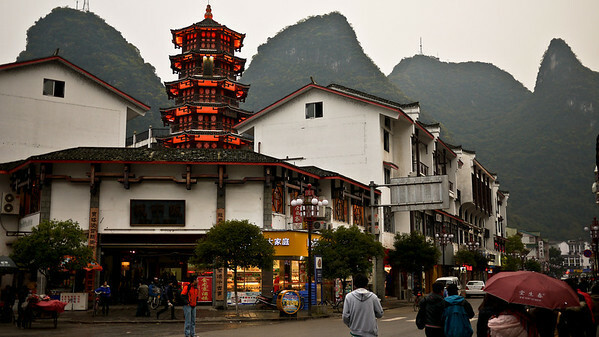 Yangshuo traffic and city center, China in Yangshuo, China. 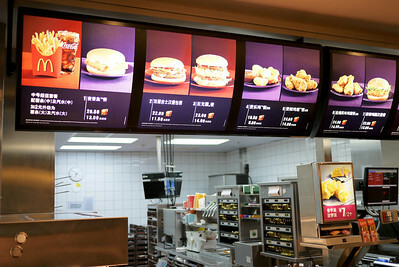 McDonalds menu in Yangshuo, China. 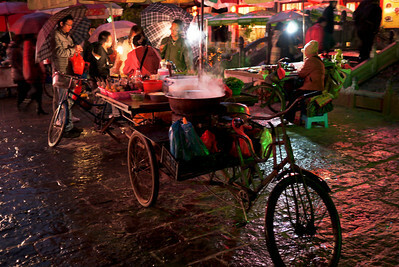 Bicycle street food cart in Yangshuo, China. 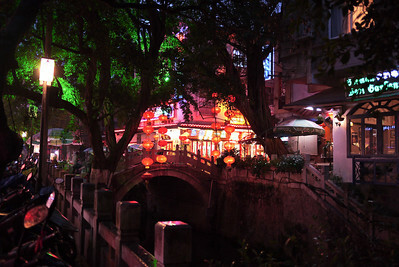 Prettily lit streets of Yangshuo, China. 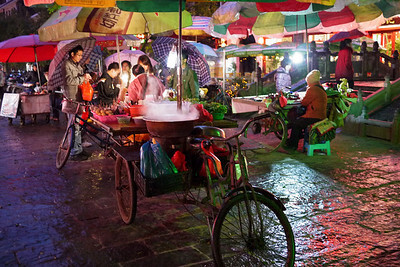 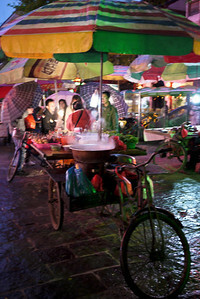 Street carts selling steaming foods in Yangshuo, China. 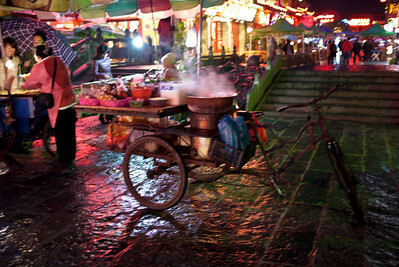 Steaming cart of street food in Yangshuo, China. 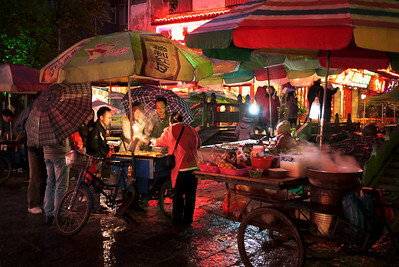 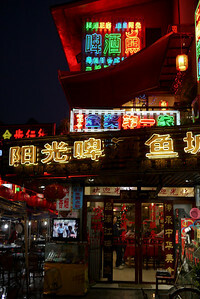 A collection of street food stalls in Yangshuo, China. 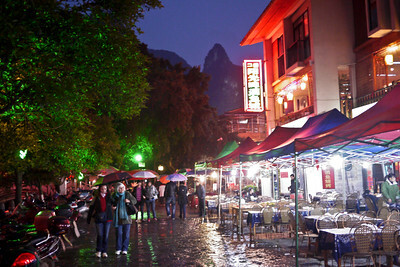 The open-air streets during the evening hours in Yangshuo, China. 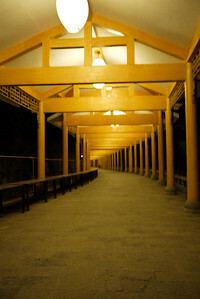 A long yellow walkway lights to the hostel in Yangshuo, China. 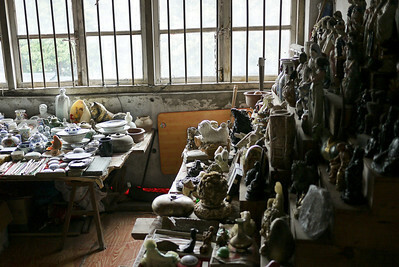 A collection of antiques and a jumble of junk in Yangshuo, China. 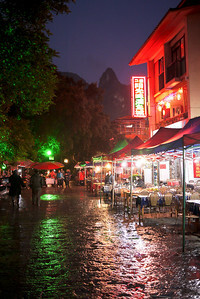 Rainy streets of Yangshuo, China. 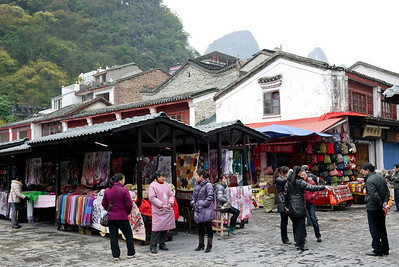 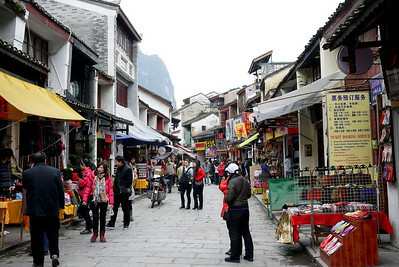 The backpacker street with souvenirs in Yangshuo, China. 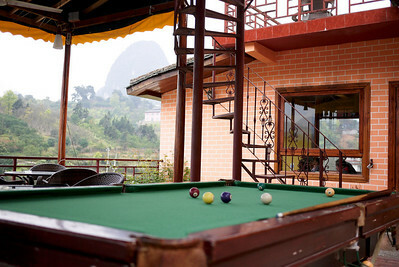 Pool table at our wonderful hostel in Yangshuo, China. 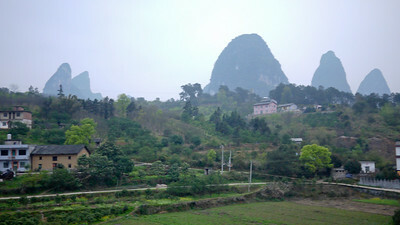 Grassy hillside in Yangshuo, China. 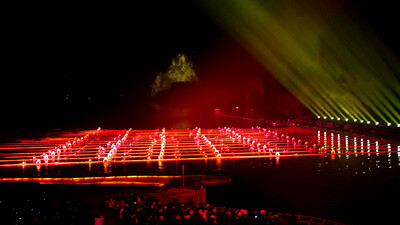 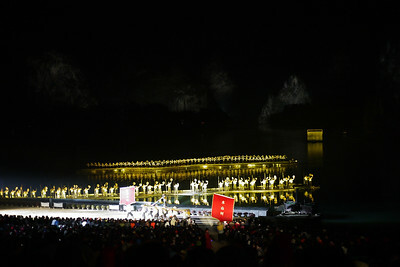 A better idea of the sheer size of the outdoor theatre for the Impression light show in Yangshuo.